Alex Theoharides (@Minne_Pop) takes a look at the enigmatic big man for the Minnesota Timberwolves. Let’s run through a thought experiment. First, the premise: An NBA player can either be a success or a failure. Second, the guiding question: Is it possible for him to be both at the same time? The Experiment: Derrick Williams, a flask of poison, and a radioactive source are placed on the Timberwolves’ bench. If a single atom of the radioactive source begins to decay, the poison is emitted, and Derrick Williams will fail as a player. If not, he will be a success. There is a theoretical 50% chance either outcome will occur. The Copenhagen interpretation of advanced NBA metrics implies that eventually Derrick Williams will come to exist in a veritable limbo in which is simultaneously both a success and a failure. How is this possible? When I watch Derrick Williams sitting on the bench, I see two players. The first is a tall, strong, athletic freak, who will be an impact player in the NBA for years to come. The second, is a tweener, who lacks confidence on offense, doesn’t know where to be on defense, and will end up playing in China in three years. During my senior year of college, I lived with my best friends in a rundown, Victorian called the Arabella House. We watched bad TV, didn’t go to all of our classes, and threw dance parties late into the night. Sometimes, we all hated each other. Beneath everything we did was the understanding that this was it. We were about to graduate. Soon we would have to decide what we wanted to do with our lives. If someone, anyone, had observed us with the same probing intensity in which I watch Derrick Williams play basketball, they would have given us up for lost causes. The difference, of course, is that we weren’t playing a professional sport. None of us was going to be offered millions of dollars directly after graduation. None of us was in the spotlight. I can see both versions of Derrick Williams. I know he has the potential to be a great player. I know he is still very young, that his game is still very raw. I know the way he’s playing in the present doesn’t preclude him from playing differently in the future. Some NBA players develop later in their careers. If Derrick Williams had stayed in college, he’d be a senior right now. I know that. I know all of that. 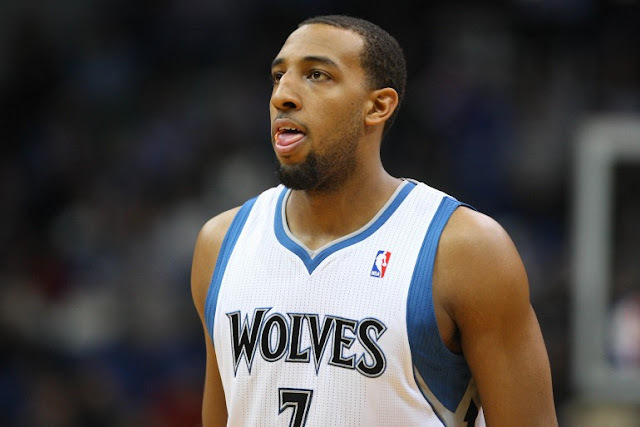 The question then becomes: Can Derrick Williams save his career? I think he can, and contrary to popular belief, I think he is on the right team to do so. Last week, Flinder Boyd wrote a piece for The Classical about the difficulty Ricky Rubio had playing in the structured style of the Euro League. “(Ricky Rubio) was quickly becoming a tale of what could have been, the gifted boy besieged by a practical world, torn down by those seeking a rational explanation to what had been an irrational phenomenon.” Boyd goes on to make the point that when Rubio came to the Timberwolves, he was fortunate to end “up with one of the very few coaches on the planet who shares his understanding of basketball as art.” In other words, Coach Adelman allowed Rubio to play to his strengths. Derrick Williams does not have Rubio’s unique understanding of the pacing and angles and artistry of the NBA game. However, he has talent and he is young. Right now, he is struggling to find his way in the NBA. But perhaps that struggle is just what he needs. Perhaps, he needs to sit on the bench, watching less gifted players like Dante Cunningham find success because they know their role on the court. Perhaps, he needs a coach like Rick Adelman, who is not afraid to bench him when he doesn’t get back on defense. Perhaps, he needs to fail before he can actually succeed. Talented American basketball players are too often under-coached and over-coddled. As teenagers, they make AAU teams and travel across the country playing glorified pickup games. In college, they use their athletic prowess to dominate inferior opponents, and leave for the NBA before learning the intricacies of the pick & roll game or how to rotate on weakside help. A few of them (i.e. Kyrie Irving), are able to pick up the NBA game almost immediately. A few of them (i.e. Kenneth Faried), find success by focusing on their strengths. And many of them (i.e. Derrick Williams), struggle to understand what their role should be in the NBA. If they’re no longer the best player on the court, then who are they? Over the past few games, Derrick Williams has begun to make subtle improvement in his game. Against the Clippers, he played 12 minutes, scored 4 points, and grabbed 5 rebounds. Two nights later, against the Bucks, he played 15 minutes, scored 7 points, and grabbed 10 rebounds. His numbers weren’t gaudy, and there were still times when he tried to do too much on offense. However, for the most part, he played hard, ran back on defense, and tried to make the right decisions on offense. Derrick Williams wasn’t perfect, he wasn’t a star, but he contributed. That’s the first step for him. If he can learn how to contribute as a role player on a consistent basis, then there is a chance he will eventually become a starter and perhaps even a star in the NBA. Derrick Williams is not there yet. He is still limbo, still somewhere between being an NBA success and an NBA failure. But the good news for basketball fans, is that Derrick Williams, the role player, finally seems to be showing signs of life.